"Aarcana" is built up with the motto "Let's change the trend in order to amend". Putting hand on each-other's hand we are walking forward to serve the community with our ideas, knowledge and efforts on the technology. To bring the revolution, evolution is needed and that is what we are doing! Yes, Aarcana is filled with the energy for bringing the new concepts and choosing the best methods so that society can benefit at optimum level. We are ready to embark on the bold new ventures. Our introductory steps towards welfare and humankind need your support. We are always seeking the creative minds. Want to be a part of us? The door is open. "Aarcana" is initially formed with a group of four Computer Science students and are working with the full efforts to meet the set goals of uplifting the society. The team primarily focuses on the sustainable development through the use of technology. Ranjan is founder and team leader of Aarcana. He is currently a Miscrosoft Student Partner for the year 2017 and a enthusiast of new gadgets. 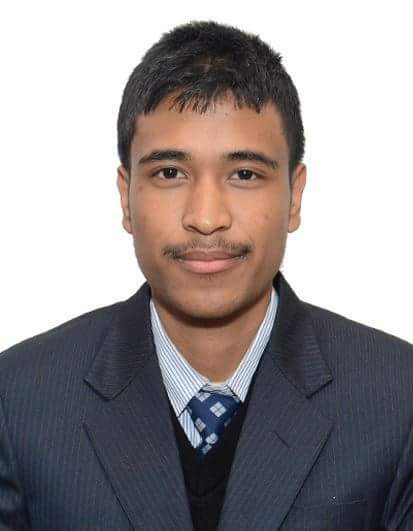 He aims to see himself as a .NET programmer along with the project "Aarcana"
Sarad is founder of the team and is currently involved in environmental scanning for the requirements of community. He is a cloud worker and prospecting in the pathway of being a successful Database Administrator as well as a sustainer of "Aarcana". Deepak is founder of the team as well as researcher of new ideas that can be beneficial for the society. Networking and cryptography are his major interests and has an ambition to become a web developer using the platform of Ruby on Rails. Rujan is founder of team and does analysis on each and every aspects of the project. Playing with the codes of Java and Python is his main hobby which persuaded him to set his goal to become a successful coder.